Say it simply and say it with strength. That's the concept behind our men's 18k yellow gold cross pendant. Approx. 9.5 grams of guaranteed 18k solid yellow gold. 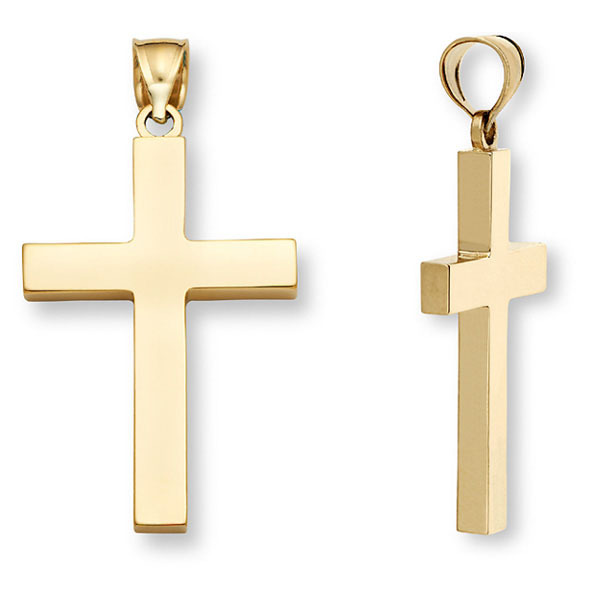 We guarantee our 18K Gold Men's Polished Cross Pendant to be high quality, authentic jewelry, as described above.